This gracious Western section brick residence sits nestled in a tranquil Princeton cul-de-sac, with its circular drive and an air of serenity. Spacious interiors, with wood floors throughout, offer incredible flexibility, including a bedroom wing with its own entrance - ready to be an in-law/guest suite or studio/play space. Radiating from the 2-story foyer are: a bookcase-framed study, formal dining room, and a sweeping family room ready for family fun or entertaining - its relaxing atmosphere created by a wood-burning fireplace, wet bar, and a trio of French doors to the large curved deck and scenic 1.5+ acres. The eat-in kitchen houses: 2 islands, granite counters, fine appliances, and allows the chef to both cook and entertain, with ease. A walk-out, finished basement has it all; media space, overflow bed space with full bath, and a gym with hot tub and new steam shower. An open landing upstairs, joins 4 more spacious bedrooms and 2 full baths, including the restful master suite. A stone's throw to downtown Princeton! 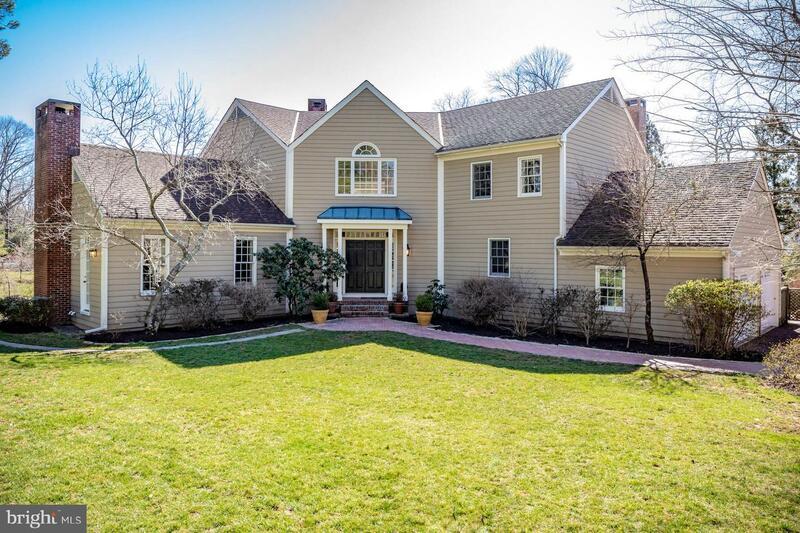 Gracious and Spacious Western Section Gem, Princeton, New Jersey 08540 United States is a Single Family Home. This Single Family Home has 5 bedrooms,4 FullBaths, 2 Partial Baths, and is available for $1,950,000.